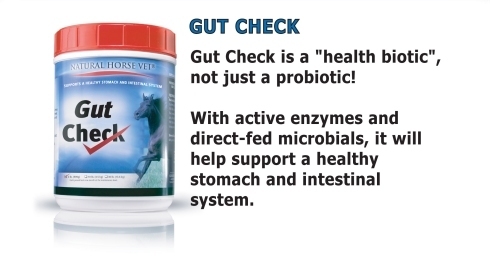 Our Gut Check formula was developed for professional/veterinarian use as an advanced enzyme & direct-fed microbial product. Look at the powerhouse of ingredients and compare! Amyolytic Activity 58,300 BAU Units per lb. Betaglucanase Activity 37,400 Betaglucanase Units per lb. Hemicellulase Activity 4,100 Hemicellulase Units per lb. Cellulase Activity 98,500 Cellulase Units per lb. Amylase Activity 3,900 SKB Units per lb. L. Acidophilus 55 Billion CFU per lb. L. Lactis 75 Billion CFU per lb. E. Faecium 45 Billion CFU per lb. B. Longum 1.5 Billion CFU per lb. Dried Distillers Grain with Solubles, Linseed Meal, Dried Whey, Active Live Yeast, Yeast Culture, Rice Bran, Vegetable Oil, Flax Seed Meal, Roughage Products, Brewers Dried Yeast, Brewers Dried Grains, Dried Aspergillus Niger Fermentation Meal, Dried Aspergillus Oryzae Fermentation extract, Dried Bacillus Subtillis Fermentation extract, Pancrelipase (Porcine Source–providing Amylase, Protease, and Lipase), Pepsin (Porcine Source), Magnesium Oxide, Dried Lactobacillus Acidophilus Fermentation product, Dried Lactobacillus Lactis Fermentation product, Dried Enterococcus Faecium fermentation product, Dried Bifidobacterum Longum Fermentation product, Lactase, Propionibacterium Fermentation Product. Horses, Cattle: Top-dress at the rate of 1 scoop daily per 1000 lb body weight for the first 2-3 weeks, then top dress at a rate of 1/2 (typical maintenance) to 2 scoops daily or as needed. Sheep, Goats: Top-dress at the rate of 1/2 scoop per head per day (average adult size animal) for the first 2-3 weeks, then top dress at a rate of 1/4 scoop per head per day (typical maintenance) to 1 scoop per head per day or as needed. Each scoop provided equals 1 oz. 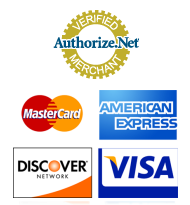 "You'll love the difference and the value Gut Check delivers"